For short and long stay trips. We are pleased to be able to offer a number of single trip travel insurance policies. Typically single trip policies will cover a travellers for a period of time from when they leave the UK until they return. A single trip policy can be set up to cover either a short trip or an extended period away from the UK. 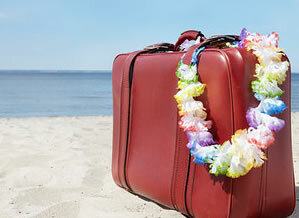 Please read on for some further information regarding single trip travel insurance. What kind of trip will I be making? This is the standard insurance for people going on a holiday with an outbound and an inbound return to the UK. This is the most suitable choice for you if you are making one or two trips away in a year with cover starting when you leave the UK and ending when you return. Upon return to the UK no further trips can be covered under a single trip policy (though some policies do allow cover for a short return trip to the UK)..
What will be covered by this insurance? Cover varies a great deal, so it is important to find a policy with the levels of cover that suit you. Go Walkabout offers a choice of policies of this type including First Class, Economy 500, Longstay and Backpacker. The policies differ in cost and levels of cover, compare their benefits here. How long does this cover last? This varies a great deal, cover offered by Go Walkabout lasts from a few days to a maximum of 18 months. This is why this kind of policy can also be called Longstay and Backpacker, as it can cover people who are away for a long time, but intend to return to the UK. If you have expensive individual items such as Laptops or cameras, check the baggage limits on policies, as there is a cap on the amount you can claim for certain items. Cover is sold on a per-person basis so if you are travelling with other family members, they also receive the allowances mentioned in the policy benefits. If you intend to take part in adventurous activities whilst away, check what activities are covered as standard, you may have to purchase additional activity packs. If you are a regular traveller who is planning to take multiple trips (of no more than 31 days per trip) in a year, it may be more cost-effective for you to take out one of our Annual Multi Trip policies.